The ability to personalize your home and make it your own is one of the many wonderful things about owning a manufactured home. And with spring just around the corner, now is a perfect time to start planning some colorful upgrades to your front porch. 1. One of the simplest ways to upgrade your front porch to a more inviting setting is to add leafy, green plants. Take it up a notch further by creating your own DIY planters that sit on either side of your front door to create an elegant entrance. Or, purchase standing planters of your choice in a light pine wood that you can paint and customize according to your style. 2. Upgrade your porch area by doing something simple like adding a new rug. Opt for a rug that is weather-resistant and has an eye-popping design or bright color. Try designs like a modern ikat pattern or bold stripes. Already have a big rug that could use a makeover? Try this DIY project to create stripes on an outdoor rug. 3. Hang simple LED-lit paper lanterns across the ceiling or outer railing of the porch to give the space a soft and warm light. You may also want to experiment with different colored lanterns to create other lighting moods for summer holidays, special occasions, or just switch it up. 4. For a subtle but inviting alteration to your front porch, paint your front door an inviting color like a bright blue, seafoam green, or lemon yellow. If you’re feeling bold, use painters tape on the door to create a stencil or outline of a simple pattern. Use complementary colors to pull the pattern together, creating an eye-catching front door everyone will admire. 5. Paint the ceiling and floor of your porch blue. Some say this calming color also serves as an insect repellent because it can fool insects into thinking your ceiling is actually the sky. Why not test this theory out and spruce up your porch at the same time? Looking for a home of your own complete with a porch you can spruce up? 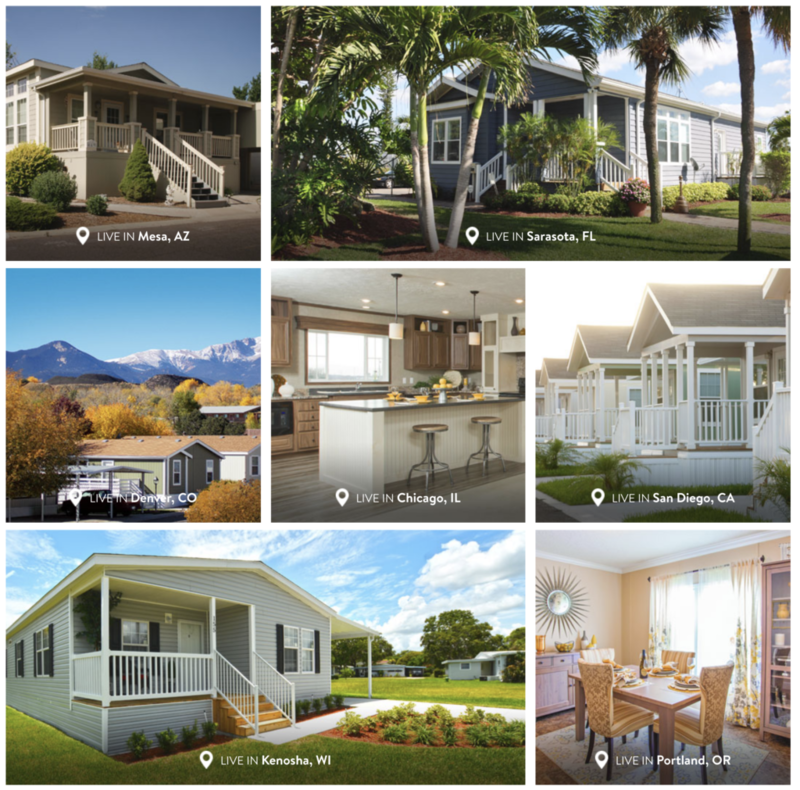 Check out our large selection of available manufactured homes in communities across the country by visiting mymhcommunity.com. 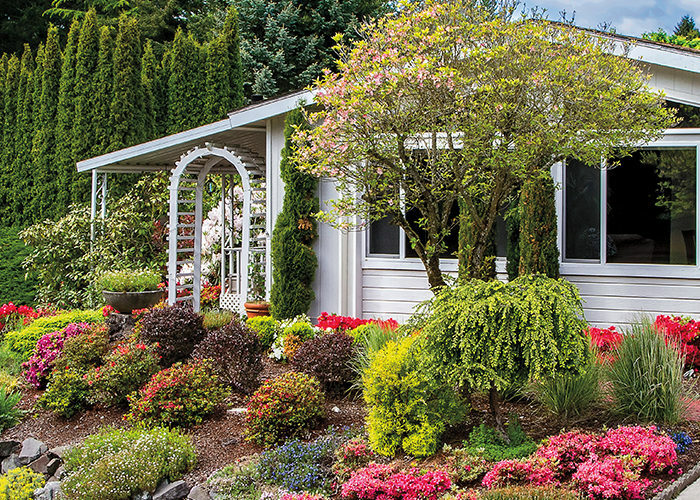 Previous Article 5 Ways to Spruce Up Your Manufactured Home with Plants! Next Article 6 Adventurous Ideas for Your Bucket List!